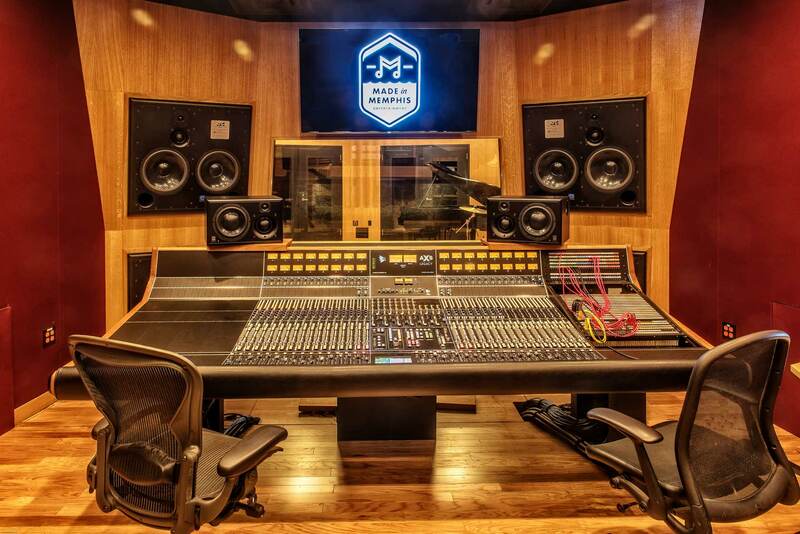 OCTOBER 2017; MEMPHIS, TN: A 32 channel AXS console has been commissioned in Studio A at Made In Memphis Entertainment (MIME). The new music venture opened its doors this past April, and serves not only as a studio, but also a music label, production company, and publishing group. MIME's CEO is legendary Stax Records songwriter David Porter, who aims to revitalize the Memphis music scene by incorporating the creative principles that drove the city's golden era of music in the 60s and 70s. The business is off to a strong start, with state of the art studios and a dedicated team. Kerry Kernan, Chief Engineer at MIME said, "The AXS has been a fantastic addition to our studio and has been a joy to track and mix on. I really like the way the AXS has remained truly analog, yet the automation features can still integrate well with the modern DAW workflow. We are still discovering all of its capabilities." "The legendary API sound combined with the AXS's feature set made for an unbeatable combination for Studio A," Porter added. "We couldn't be happier with our new console."